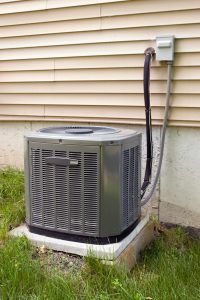 3 Warning Signs Your Air Conditioner Needs Repairs | Comfort First Heating and Cooling, Inc.
No, unfortunately the ice on the outside of your air conditioner is not a sign that it’s working well. Coils often freeze over when there’s not enough warm air moving over them from the home, which can happen with something like a clogged air filter or broken air handler. The ice will prevent the air conditioner from cooling the home properly, but it will also eventually lead to other malfunctions and possibly a full-system breakdown. Make sure you call for repairs if you notice ice on your air conditioner. If you’ve had your air conditioner for any length of time, then you probably know what it’s supposed to sound like while it’s operating. So, if the system starts to make any noises that it’s not supposed to make, it’s a good idea to have a technician take a look at it as soon as possible. Grinding, hissing, gurgling, and the like should never be ignored. The kind of problem, and how severe it is, will vary depending on the noise. None of them should just be ignored until other symptoms surface, though. If your air conditioner is turning itself on and off every few minutes, instead of completing a full cooling cycle, then you have a big problem. That’s short cycling, and it’s one of the more serious threats to your air conditioner’s health. Short cycling is typically caused by an electrical issue or malfunctioning compressor. It severely hampers the system’s ability to cool the home, but it also increases the amount of wear the system accumulates over time. The longer the air conditioner short cycles, the more prone to other repair issues it’s going to become. Eventually, this can lead to the entire air conditioner breaking down. Make sure that you call a technician to take a look at your air conditioner before that happens, or you may have to end up replacing the entire system years early. Comfort First Heating and Cooling, Inc. provides comprehensive air conditioner repair services. If you’re looking for the best Plainfield, IL HVAC company, we’re here for you. Contact us today to schedule an appointment with one of our professional technicians. We’ll make sure that no matter what kind of shape your system is in now, it will be restored to proper operation.